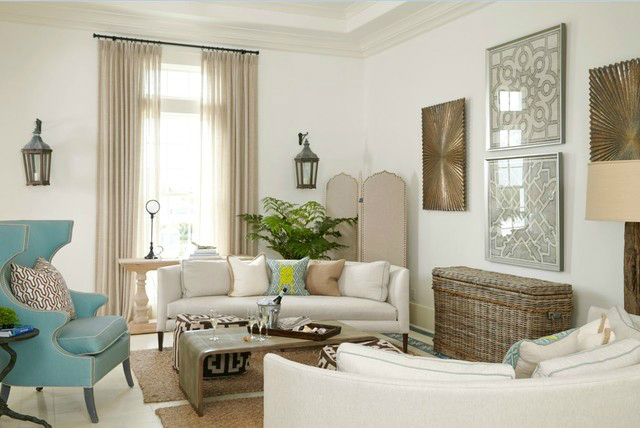 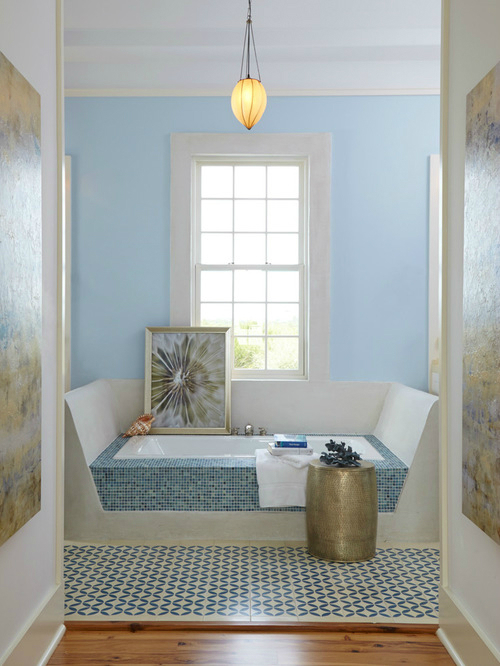 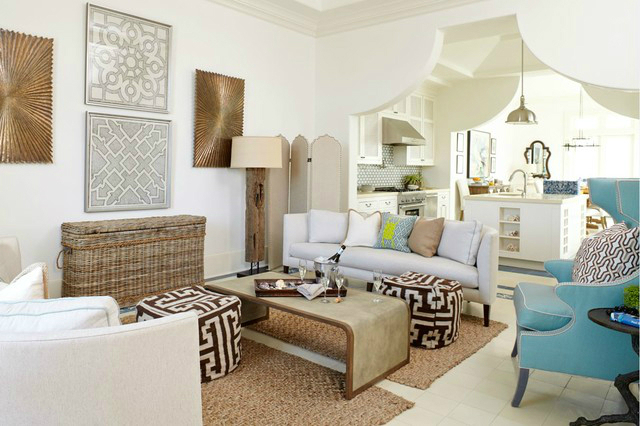 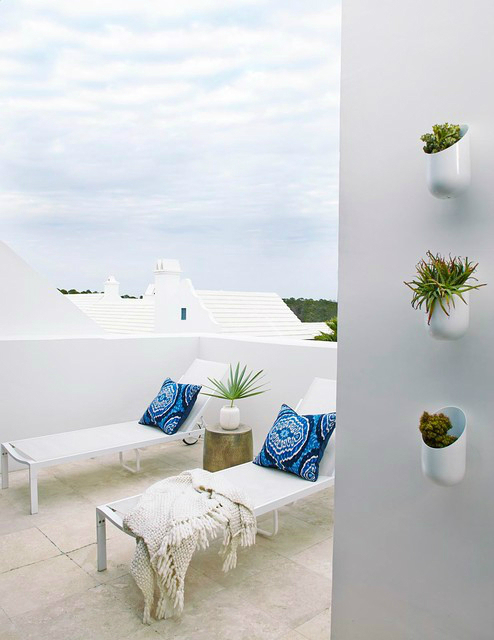 This Retro Beach House in Alys Beach, Florida designed by MUSSO, is so welcoming. 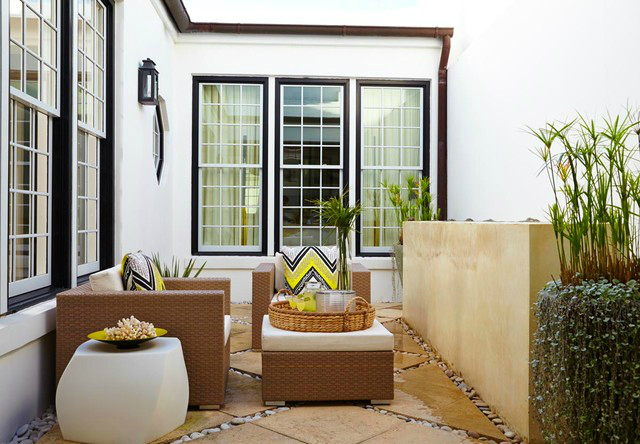 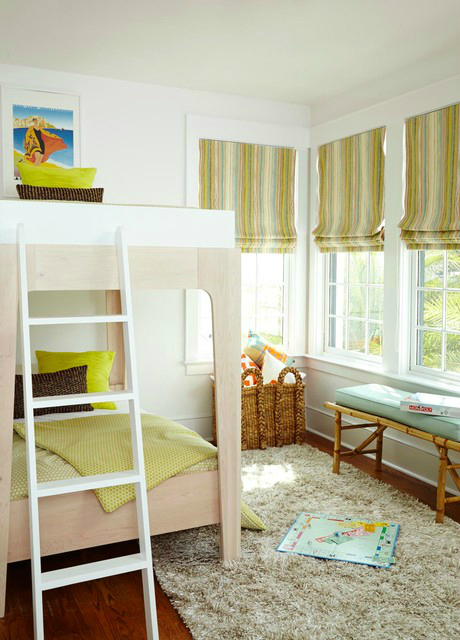 From the courtyard through the living space and into the bedrooms, punches of chartreuse abound, set adjacent black, white and gray features so that the bright color is never overpowering. 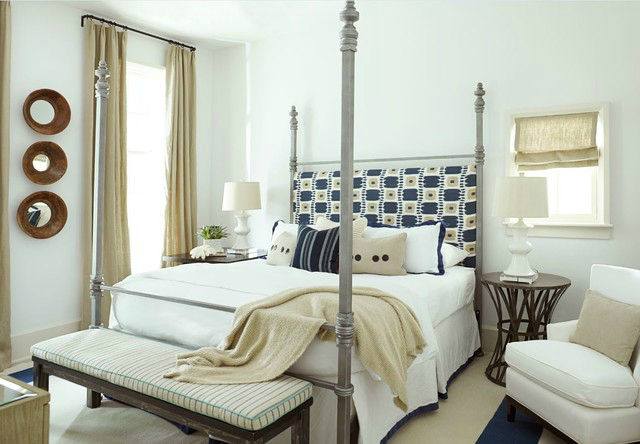 The master bedroom is the highlight of the home with a wall-to-wall gray headboard surrounded by vintage black and white photographs the design team located and framed. 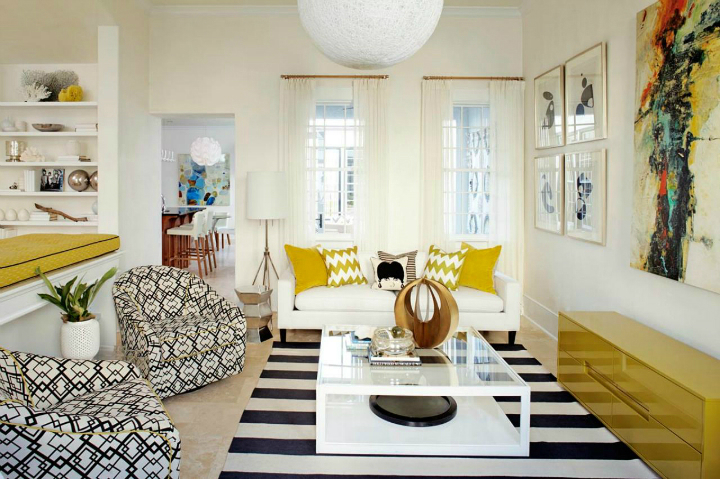 In the living room, a white Perennials upholstered sofa with large chevron patterned chartreuse pillows accompanied by a mod needlepoint Jonathan Adler pillow sits next to graphic patterned black and white barrel-back swivel chairs covered in outdoor fabric, and a white modern coffee table rests on a striped black and white rug. 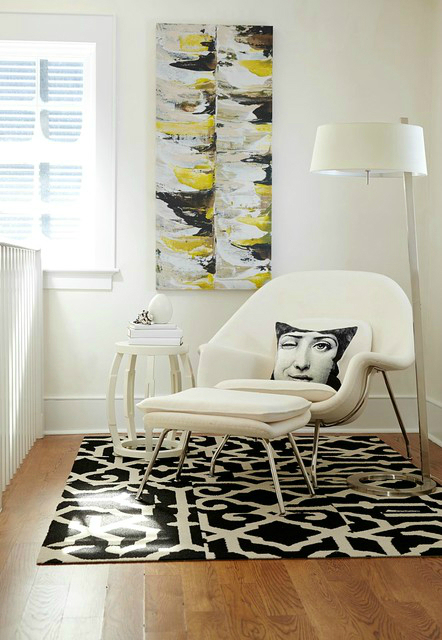 A large spherical white pendant light fixture from the 1970s is suspended above it all. 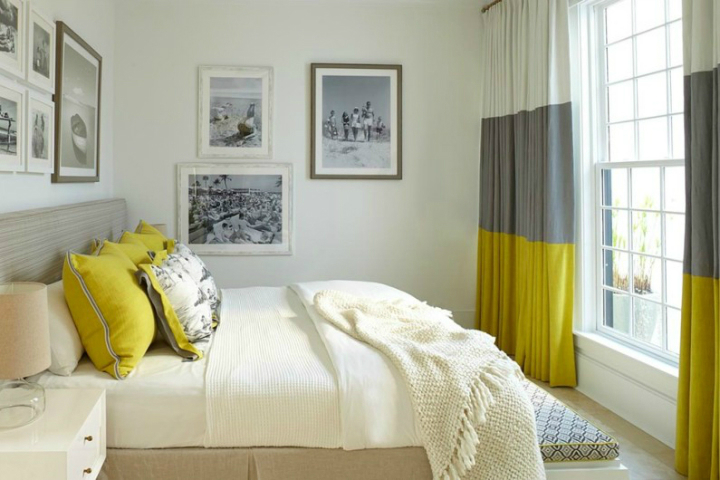 More color was added to the room with the yellow media cabinet and the bright abstract painting hung above it.